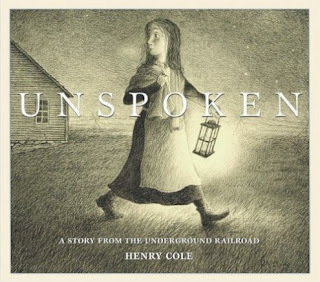 Unspoken is a wordless picture book about a young Southern farm girl who discovers a runaway slave hiding behind the corn crib in the barn and decides to help him. This is the first time I explore a wordless book with my son, and we were surprised by how much we enjoyed the story told in beautiful illustrations. The illustrations are pencil drawings much like those by Brian Selznick (Wonderstruck, The Invention of Hugo Cabret). My son thought they were done by him because of the similarities. We LOVED looking at and discovering details in the pictures that made the story unfold before us. Sepia-colored and rich in details, especially the grain of the wood walls, the corn husks and leaves, and the kitchen, these illustrations truly told a beautiful story. The farm girl is brave and kind, bringing food every night to the slave who keeps hidden. Her family is poor and they live a simple but godly devoted life, praying before their meals. Men come looking for the slave, offering a reward. The girl's family has not seen any slave, although my son and I thought they knew but kept silent. They could have used the reward money offered for the slave but it is clear they are not a greedy family. Finally, one night she finds the slave has left her a doll made of the corn husks and checkered cloth in which she used to bring him food. It was his thank you gift to her. What a touching story! This book was ideal for discussion with my son. We spoke of doing brave and courageous acts even when it is dangerous, of kindness over greed, of bonds formed in times of need and of doing what is right. We spoke of slavery and of civil wars. We talked about how even children can make a real difference. The author states in his note at the end of the book, "Because I made only the pictures, I'm hoping you will write the words and make this story your own--filling in all that has been unspoken." That's exactly what we did! The title suited this story so well because the girl and the slave did not need to speak and yet they communicated so much. I highly recommend this beautiful book that says so much with no words. 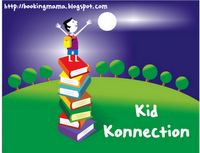 The saying, "A pictures paints a thousand words," is aptly conveyed with this book. It's a keeper on our bookshelf. It would not surprise me if it became a classic. It will go on my list of favorites for 2013.